Contains 12 x 500ml bottles of our premium dark ale, Resolve. This beer was a double award-winner in 2018- bronze at Falmouth beer festival and People’s Choice beer at Salisbury Beerex. RESOLVE 5.2%: Full, rich and very dark. This premium dark ale is brimming with flavour. Deep, roasted malt competes with dark chocolate and coffee culminating in a smooth, comforting finish. Strong, dark and warming. This steadfast and dangerously drinkable beer is comfort food in a glass. 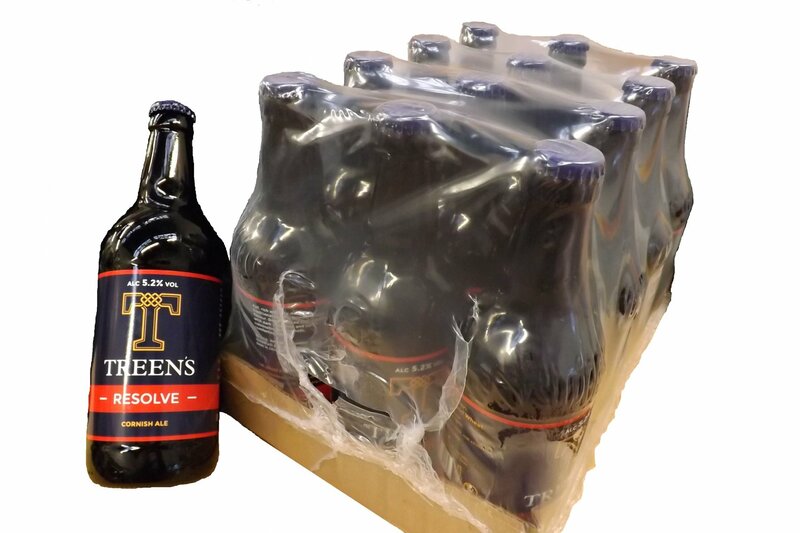 © Treen's Brewery 2018 All rights reserved.